A Plus Coach is the true definition of prestige when you are seeking Marshfield Corporate Transportation. Whether your group consists of one lone CEO, a gaggle of business types, or the whole Board of Directors, A Plus Coach has you covered. A Plus Coach are sticklers about being ahead of schedule. Nothing is worse than getting off a plane, being ready to unwind, and then you get to baggage claim and your driver is no where to be found. That is never the case with our Marshfield corporate transportation services. We are on time, every time. Allow us the pleasure of collecting your belongings and escorting you safely to your next destination. You are in capable hands with A Plus Coach of Massachusetts. A certified and licensed chauffeur is widely considered by corporate clients as a functional necessity. It provides a comfortable and quiet environment to get organized prior to important meetings. A Plus Coach goes to great lengths to provide our clients with the very best in corporate transportation service that is available in all of Massachusetts. Our corporate cars come equipped with beverages and all of the creature comforts you could dream of. Plan your next business trip with A Plus Coach’s Corporate Town Cars in mind. Click here to get a free quote and to see our complete fleet of luxury limousines and corporate town car options. Not only do we offer superior corporate town car service throughout Massachusetts, but we have a full fleet of luxury vehicles to suit any size party and occasion. Whether you are hosting potential clients, having a night out or need transportation for a special occasion, A Plus Coach has got the vehicle for the event. Mercedes Benz Sprinter Party Bus – This is one of A Plus Coach’s most unique vehicles. It definitely is the ‘leave your cares behind’ option. While deciding on what Marshfield Corporate Transportation Service you’d like to go with, you should keep in mind the size of your party. Our Mercedes Benz Sprinter is perfect for large parties and can comfortably accommodate 14 passengers, their luggage and then some. Here is the good part… This vehicle comes equipped with ground effect lighting, plush red and black leather interior, lighted dance floor, server station to entertain your guests, and two extra large TV’s with DVD player. This brand of luxury travel is for those that dream big and know how to enjoy themselves. Start your adventure with us at A Plus Coach today. Your dreams are a CLICK away. Corporate Town Car Sedan – A Plus Coach’s affordable Corporate Town Car is a true classic and is one of our most popular selections. This exceptional automobile is custom built by Lincoln and extended 6 inches, affording you an enormous amount of legroom. Outfitted in premium black leather and rear climate and stereo volume control consoles in the armrests, this is a great way to affordably get around Massachusetts and all her fine cities. The Lincoln Town Car is ideal for those that are seeking comfortable and affordable Marshfield Corporate Transportation Services. Our fleet of luxury automobiles are of the highest caliber. Well maintained, fresh, stylish and stocked to the nines with every amenity one could dream of, that is the A Plus way. Whether you’re going straight to your hotel from the airport or seeking an adventurous detour before arriving at your destination, make sure you travel in comfort with A Plus Coach. There is zero reason why you should be breaking the bank by opting to indulge in personal ground transportation. 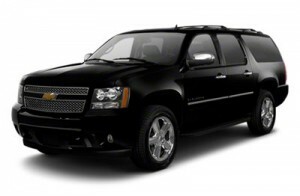 Luxury car service IS AFFORDABLE believe it or not. The day of private car service is here, and here to stay. The reason why so many people have turned to this option as their routine, is because it is so affordable.